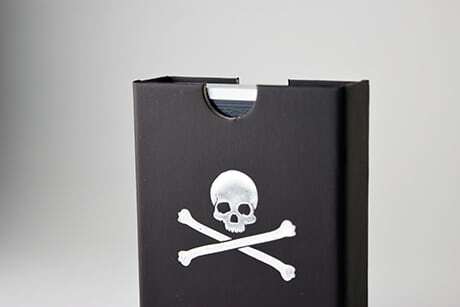 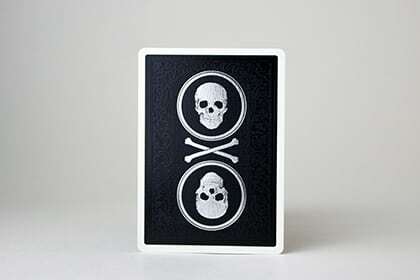 SKU: PHANTOM-SKULL-BONES Categories: Publishing - Accounting, Cards, Skull & Bones, Superior Brand, Halloween SALE, Free VIP David Blaine Deck with $299 Purchase! 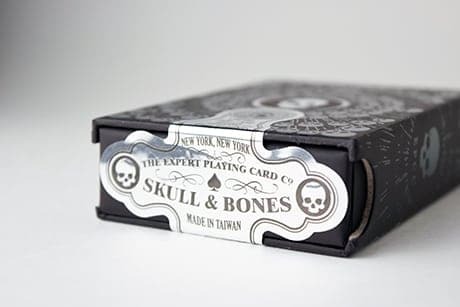 A brand new version of Skull & Bones unearthed by Jackson Robinson and printed to exacting standards by Expert Playing Card Co.! 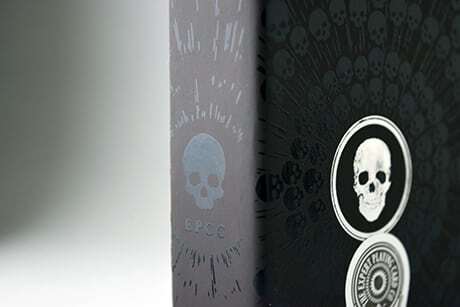 This edition has foil features on the back design and a truly stunning slipcase featuring foil and spot UV all designed by Jackson Robinson. 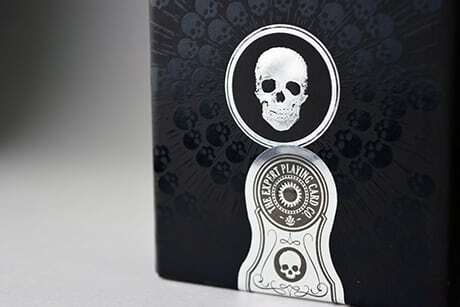 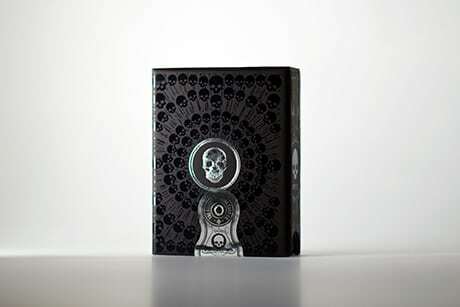 Each deck is safely enclosed with an elaborate numbered seal made in silver foil and even embossed. 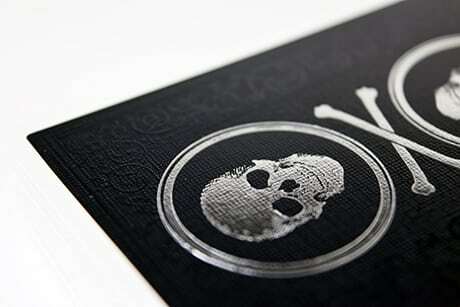 In addition to the wonderful slipcase the cards are new and very special. 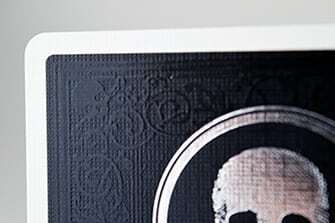 The center pendants are stamped in hot silver foil and the detail on the borders are done in Spot UV!! 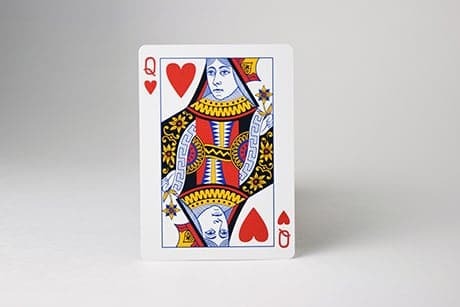 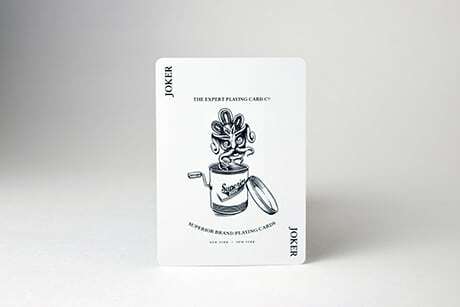 Lawrence Sullivan, our friend from Legends Playing Card Co, created and pioneered this amazing process and we have first used it in combination with hot foil. 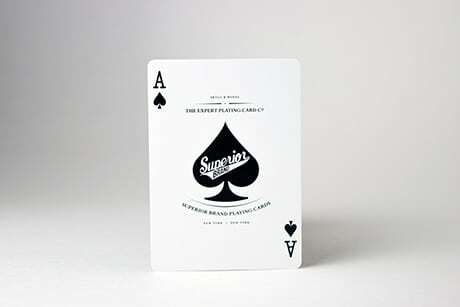 We can assure the purist that even with foil and spot uv the cards still handle perfectly. 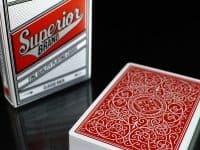 Hurry on this one they are really a special deck.